Every child is a gift from God – from His hands. We come from God, accomplish our mission on earth and then we go back to God. Each of us will not and cannot return to God until and unless we accomplish our MISSION on earth. Have we given this subject some thought. I guess we should. God is our Creator. God has called us to be His Partners. It is vital for us to co-operate with him. Each child is a COG is God’s plan. He has a blue print of what we should do on earth. God revealed to Jesus Christ that he was the Son of God and that he was to be the suffering messiah when he was baptised by John the Baptist and during the 40 days in the desert. In like manner when we are baptised, we are told by God that we are on a mission as His child through our parents and God Parents. That is why every Catholic/Christian is called to attend church atleast every Sunday, and for Catholics, sometimes every day if possible. Well, sadly though, many parents and God Parents are really and truly not enlightened themselves that they are on a MISSION on this earth. We should teach our children that we are on this earth to do God’s Holy Will because he has sent us on a mission. How many of us think of our mission on earth? We study catechism in school, we go to church for Mass, listen to sermons and yet many of us grow up thinking only of ourselves and our families. We go to work, try to make ends meet – stress about paying bills and mortgages etc. This is only part of the plan. While we are doing all this, we are to remember that we are Children of God and that our Heavenly Father created us and made us Temples of the Holy Spirit. When we deeply realise that God is our Father, and that we have to work for Him on this earth, it is only then that we would go about with full zeal to fulfill our mission on earth. My dear bothers and sisters in Christ, many of us become anxious when things are not going right for us. We begin to lose our faith in God and in people. We lose our peace and we become restless. St Paul was an executor of Christians and he was then known as Saul. When he had an experience with Christ, he changed and became Paul, the Greatest Missionary of all time. This man who persecuted and killed Christians, once he had an encounter with Christ, fell in love with Christ and from then on spent all his wisdom and energies to spread the good news of Christ Jesus. May Our Lord Jesus Christ bless us all. St. Paul’s conversion began when, with a flash of light, he fell from his horse. Many Catholics and Christians of our day, have less faith, even though the stories in the Bible tell us about the love and power of God. Many of us doubt in God’s care and mercy. We think, well God can and has done wonderful things in the bible and I know people who have been very blessed by God but I doubt if God can and will do for me. Why? Because till date I have not received miracles and wonders like the others have. My dear brothers and sisters in Christ, I would like to assure you that I did think like that many, many years ago and God proved me wrong. 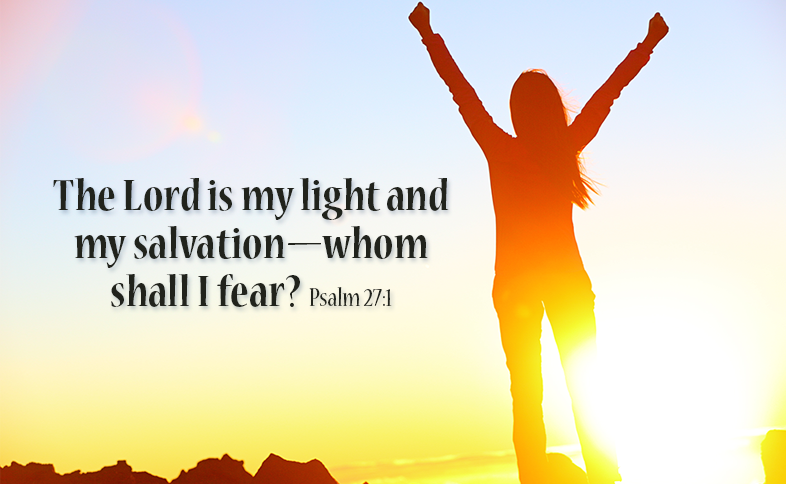 I have studied scripture and I became aware of how much God loves us all, especially me. By that I mean God loves me in a personal way and He cares for me in a personal way and He knows my every thought, not to punish me but to help me in this life. He has and was performing miracles in my life right from the moment I was conceived in my mother’s womb because my parents were so happy to have me and they gave me life. I WAS NOT ABORTED like babies who are aborted and killed these days in their mother’s womb. My God gave me life, love, happiness, joy, fed me through my parents, clothed me and gave me shelter and protection under my parents’ guidance. My parents and the family, relatives and friends around me loved and cared for me. I was a happy child. But when trouble strikes, we immediately say, “God does not love me like he loves others and I do not think he will perform miracles in my life. Well, my brothers and sisters, we are all miracles and Christ is journeying with us and if we look closely, we will find that he does perform many miracles in our ordinary lives, daily. But, let us now stop and apologise to our God and continue our days as we recognise the miracles in our lives and thank God for every one of them. LET US HAVE FAITH IN HIM. 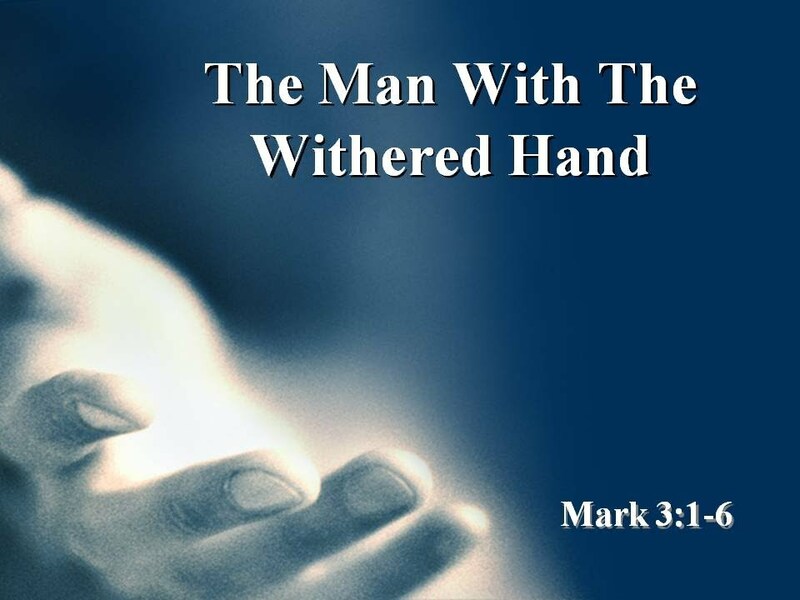 Gospel Mark 3:1-6 1 And he entered again into the synagogue, and there was a man there who had a withered hand. 2 And they watched him whether he would heal on the sabbath days; that they might accuse him. 3 And he said to the man who had the withered hand: Stand up in the midst. 4 And he saith to them: Is it lawful to do good on the sabbath days, or to do evil? to save life, or to destroy? But they held their peace. 5 And looking round about on them with anger, being grieved for the blindness of their hearts, he saith to the man: Stretch forth thy hand. And he stretched it forth: and his hand was restored unto him. 6 And the Pharisees going out, immediately made a consultation with the Herodians against him, how they might destroy him. in yesterday’s gospel, we did see that the Pharisees were not pleased with Jesus and his disciples because they picked grain on the Sabbath to eat and Jesus did admonish them by saying that Sabbath was made for man, and not man for the Sabbath and he also added that he was Lord of the Sabbath. immediately set out to fix things. He could not sit back and do nothing, even if he was being watched and knew that he would get into trouble with the Pharisees. He did see the man with a withered hand and immediately he felt pity and compassion for this human being. He knew that he simply had to heal this man whether it be the Sabbath or not because he knew that it was the right thing to do and being God, he knew. Since the Pharisees questioned him earlier regarding picking grain on the Sabbath, Jesus looked at them and asked them if it was lawful to do good on the sabbath or to do evil, to save life or to destroy. But they did not say anything but Jesus was angry and he was grieved because he could see the blindness of their hearts. Jesus, being God could see into their hearts and he was greatly distressed and he felt great sorrow. Pharisees were middle class businessmen and leaders of the synagogue. They were known for their emphasis on personal piety. Now, being leaders in the synagogue, Jesus expected them to feel pity and compassion for the man with the withered hand but they did not and were following Jesus and waiting for a chance to accuse him. Jesus knew that he could heal the man’s withered hand and make him whole. What was the feelings of the man who was healed. He was first of all shocked that Jesus decided to heal his hand on the Sabbath and yet grateful and joyous. I am sure words could not describe his joy. Jesus was bold and courageous and not afraid of man. His main aim was to do the Will of His Father in heaven. Jesus then asked the man to stretch forth his withered hand and his hand was restored. Jesus gave back to this man – dignity and health so that he could be normal again. Herodian (in the New Testament) a member of a Jewish sect associated with the Pharisees in opposition to Jesus, and assumed to be supporters of Herod the Great’s dynasty. So the Pharisees as soon as they saw Jesus healing the man with the withered hand, they went off to meet with the Herodians to plot against Jesus. Now, we, in this world, who do we choose to be like? 1. Jesus – full of compassion and mercy Ready to do good, even though we might get into trouble because of it. 2, the pharisees who were waiting to accuse Jesus or 3. like the Herodians full of power, ready to join the Pharisees and do Jesus evil. or are we like the man with the withered hand in need of healing. If we are in need of healing, let us go to Jesus Christ and we will be healed. The Pharisees were always trying to find fault with Jesus. Every opportunity they got, they would try to set a trap for him. But Jesus Christ being the Son of God, was God and Man and He knew what was in their hearts and he always had the right answer for them. In fact, he was teaching them. The Pharisees made lots and lots of rules and it really became a big burden for the people. So Jesus Christ was indirectly telling them to make things easy for the people instead of burdening them with so many laws. And that is why he said that Sabbath was made for man, not man for the Sabbath. People normally eat three meals a day – breakfast, lunch and dinner. So, when the disciples were hungry, it was not wrong for them to pick some heads of grain to eat on the Sabbath. Then he further added that the Son of Man is Lord even of the Sabbath. Meaning that he was the Boss of the Sabbath and not the Pharisees who made unnecessary laws just to burden the people. So my dear people to worship God is definitely not a burden. All we need is LOVE – to Love God with our whole being and to love our neighbour as ourselves. The Pharisees made things very complicated for people to worship Yahweh and Jesus was teaching them to Love God and the people in an uncomplicated way.